With Readly you can read All About History - Book of the Pilgrims and thousands of other magazines on your tablet and smartphone. Get access to all with just one subscription. New releases and back issues – all included. "After several long and arduous attempts to start the voyage to the New World, it must have seemed like an impossible task. The Speedwell had sprung a leak after every attempt to set sail, and when the Mayflower eventually embarked on the journey on its own, the passengers were plagued by buffeting winds and seasickness. Was a fresh start really worth it? 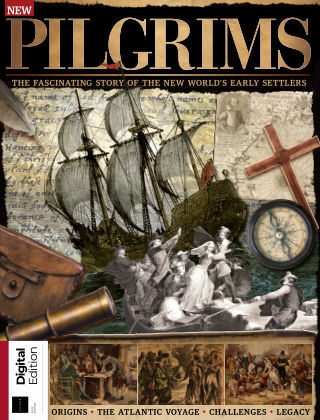 In the All About History Story of the Pilgrims, find out exactly why the Pilgrims were determined to leave England, discover why their initial hopes of settling in Holland were scuppered, trace the tedious voyage of the Mayflower and uncover the harsh reality of life in the New World. "